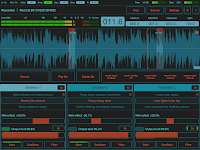 FieldScaper - Sound warp field recorder and scape constructor version 1.2 has been released. Advanced field recorder combined with a sound warp engine and a collection of ready to use dynamic presets for iPad and iPhone. Discover new ways to create and construct unusual and exciting sounds from any environmental audio recordings or samples recorded from other apps through Inter-App audio or Audiobus. Added scenes for saving all operation parameters. Added "Internal recorder" for recording the main output. Presets and scenes can copy / paste thru text clipboard. Additional button for start / stop all oscillators. Audio input parameters on the main screen (for iPad). Some improvements of user interface. Fixed bug in processing midi commands. FieldScaper - Sound warp field recorder and scape constructor version 1.2 has been submitted for review on the Apple App Store. - Added scenes for saving all operation parameters. - Added "Internal recorder" for recording the main output. - Presets and scenes can copy / paste thru text clipboard. - Additional button for start / stop all oscillators. - Audio input parameters on the main screen (for iPad). - Some improvements of user interface. - Fixed bug in processing midi commands. 2015. 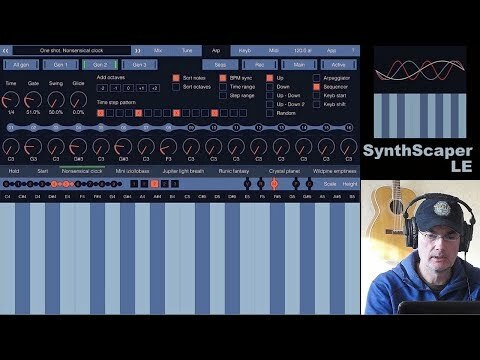 It was a good year :) Two my new apps SoundScaper and FieldScaper have been marked as the best application of the year on several well-known blogs like Music App Blog, haQ attaQ / The Sound Test Room, Synth Anatomy and Synthtopia. Of course I'm not going to stop there, and next year will continue to improve and update these apps. But for me personally, the best experience in the past year was recording the experimental album "New Space Project" within project "Innerspace Welcome" together with Alexander Zolotov. I hope that this year I will have a time for new sound experiments. Produced, Recorded and Mixed by: Igor Vasiliev and Alexander Zolotov. "2015 has certainly been another eventful year of iOS music making. As ever, we have had to deal with the annual cycle of both hardware and software updates from Apple. We have seen some of our favourite iOS music apps updated – and I’ll perhaps give a few of my personal highlights later – but we have also had the introduction of a brand new crop of brilliant iOS music apps. So, if Christmas delivered your first iOS device, and you are looking to populate it with some of the best apps of 2015, which apps should you choose? I’ll add the same qualifier here as I’ve done in previous years; any ‘top apps’ list is bound to be a totally subjective selection but, if you want the Music App Blog take on the top ten app highlights of the last 12 months, then here goes..."
"Here’s my top 10 list of music apps from 2015! A lot of good apps have been released this year. I wasn’t easy making a round up of my most favorite ones." "This are my favourite releases in 2015. I consider in majority only releases from 2015 and two updates from apps released in 2014. If you missing Nave and other synths, please consider that the choice is only for Synths released in 2015. This choice is only my favourites and maybe you have another selection." "Best of 2015: We asked and you voted on the Best New Mobile Music Apps of 2015."